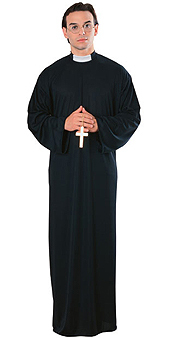 Hear everyone's confessions while dressed in this Priest's robe with clerical collar. Available in standard size only. Size: Standard - fewer than 5 available for next day dispatch.